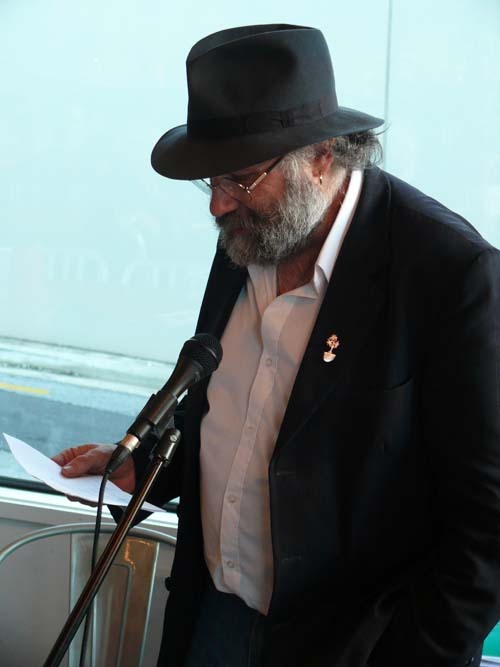 Discounted pre-sale tickets for The Bacchus Sessions: A Poetry Symposium with Glenn Colquhoun are on sale now at Gifted Design Store, Helwick Street, Wanaka. 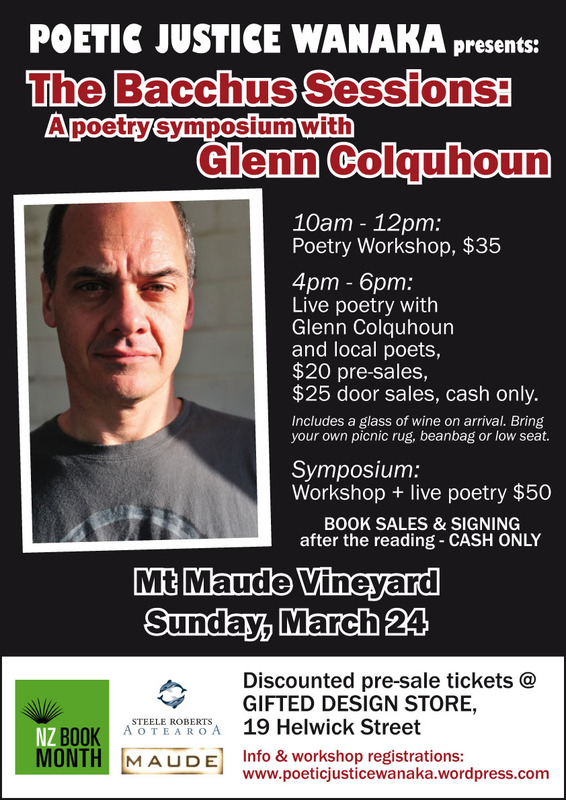 That’s $20 to watch Glenn read at Mt Maude Vineyard on March 24, and you get a free glass of wine on arrival! Not in Wanaka? Email us and we’ll arrange to get pre-sale tickets to you. We’ll have a selection of Glenn’s books on sale on the day as well, so bring along some cash and we reckon Glenn will sign a few for you. The morning workshop is almost full, so get in touch soon if you’d like to register. Thanks to those who have already signed up and paid. We’ll be in touch soon with details about where to go and what to bring. 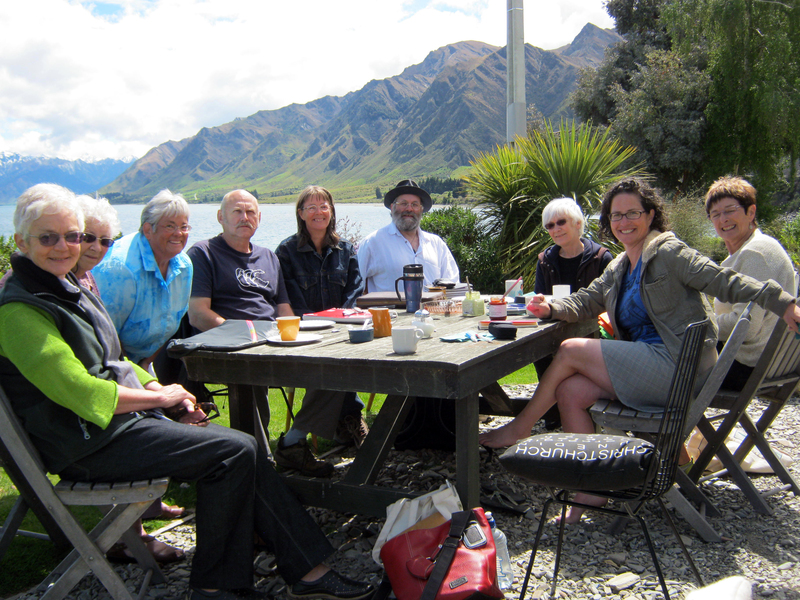 Poetic Justice Wanaka – celebrating New Zealand Book Month with wine and poetry. It’s all good. 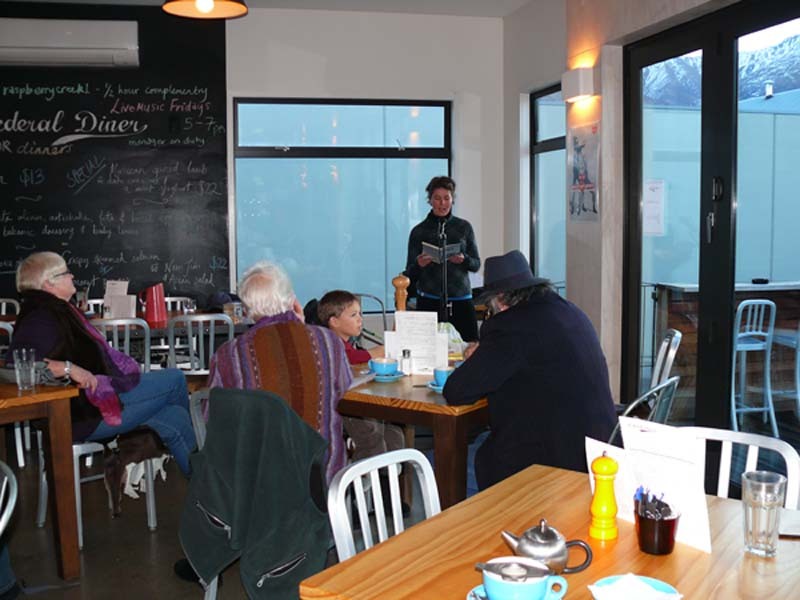 Poetic awesomeness in Wanaka with Cilla McQueen last weekend – Friday night reading at Federal Diner and a productive and inspiring workshop on Sunday at the lovely Black Shack. Lucky us. Thanks to Federal Diner, Maude Wines (love your Pinot Gris!) and the Black Shack for helping us make it happen. The former Poet Laureate shows us how it’s done. Literature by the lake: chilling with Cilla at the Black Shack. 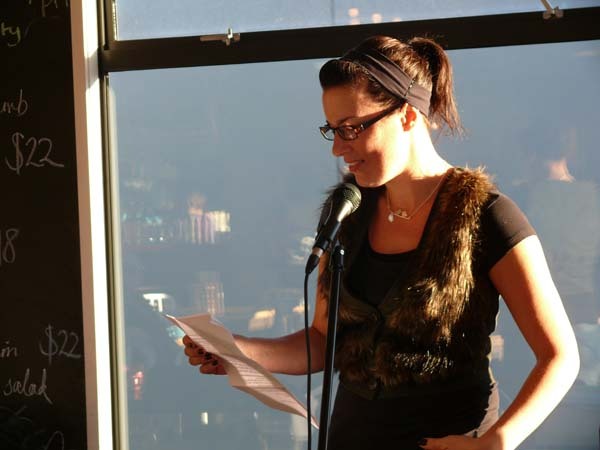 Poetic Justice Wanaka presents AN EVENING WITH CILLA MCQUEEN. 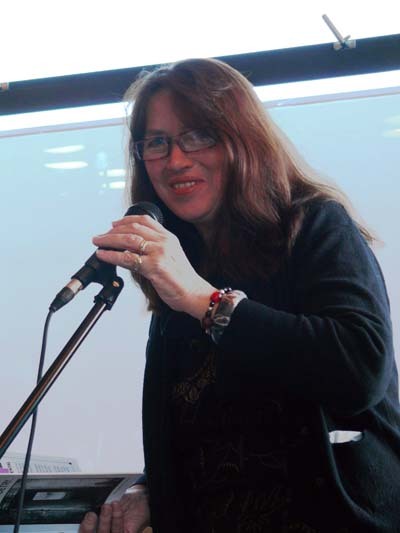 Former New Zealand Poet Laureate and Burns Fellow Cilla McQueen will be reading in Wanaka on Friday, 9 November at the Federal Diner on Helwick Street from 6pm to 8pm. 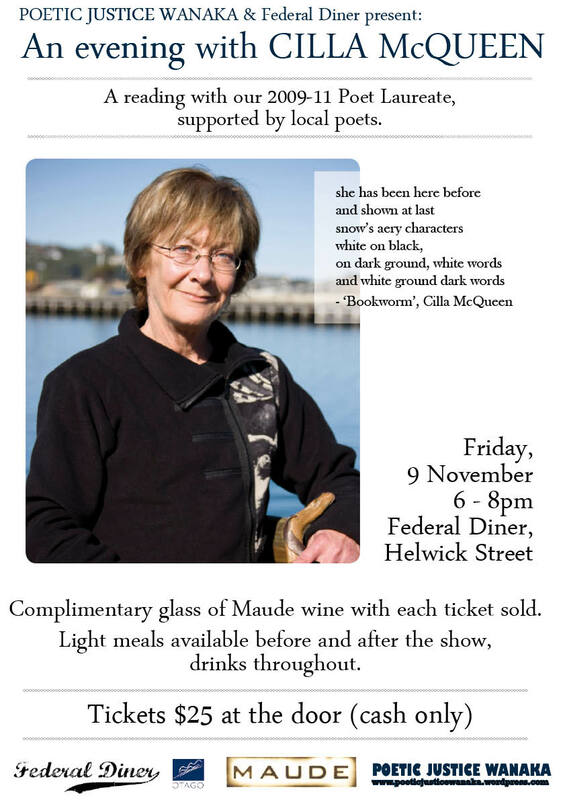 Light meals will be available before and after the show, and everyone will receive a complimentary glass of wine from Maude Wines at the door. Tickets are $25 at the door, cash only please. The project: Seven poets, 14 poems each. 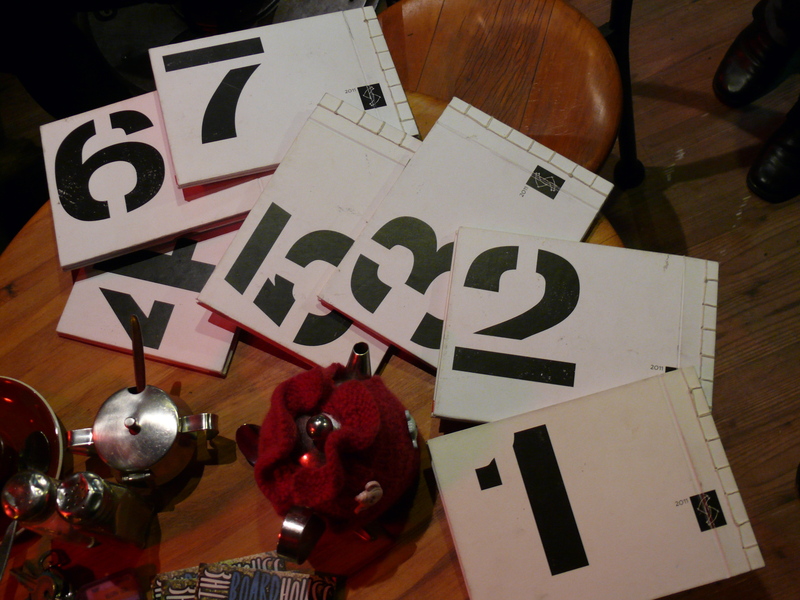 Seven individually-numbered books. Each poet puts two poems in each book, decorated as he or she sees fit. 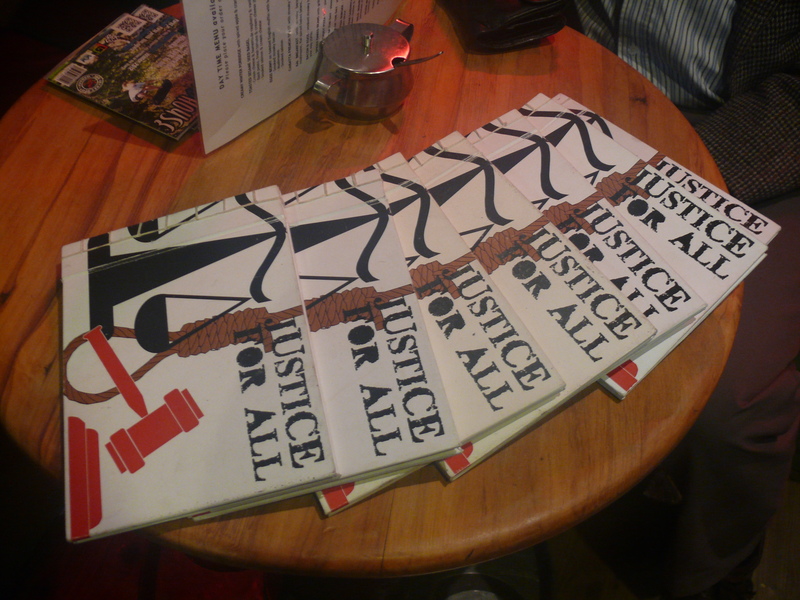 The outcome: Seven one-off poetry collections showcasing some of the best work from our Poetic Justice regulars. 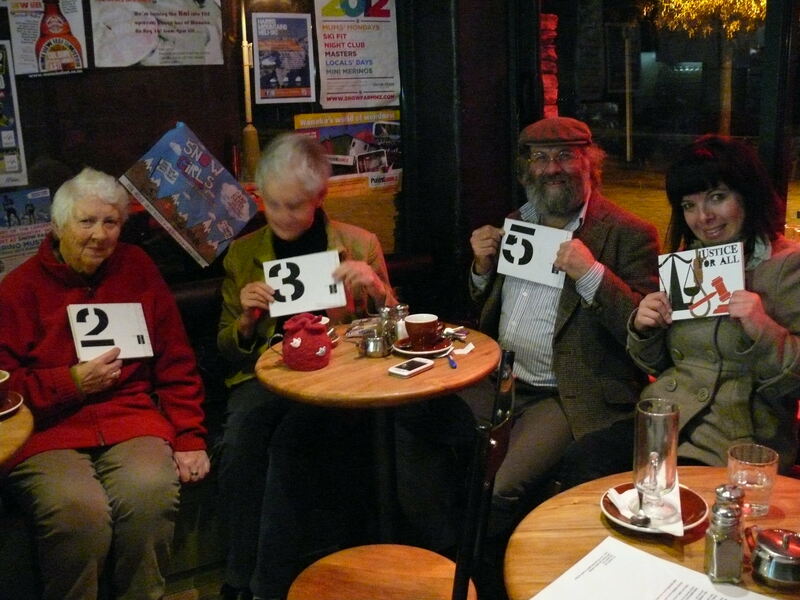 The Poetic Justice Justice for All books are complete, and on a recent winter’s evening we gathered to draw numbers out of a hat (or was it a tea cosy?) and take home our unique copies, stitched, signed and ready to read. 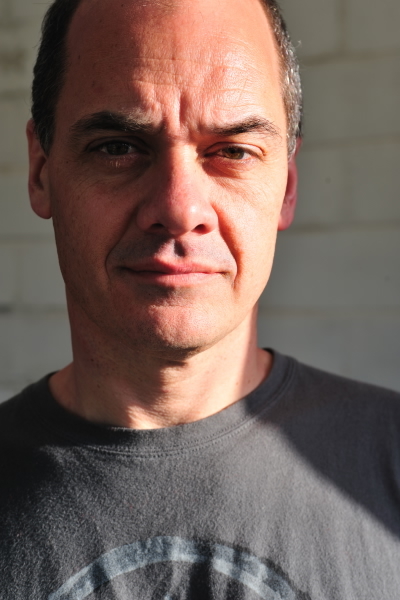 Thanks to Simon King for designing and producing the beautiful books, and to the participating poets for their words: Jan Kelly, Gwenda Rowlands, Annabel Wilson, Laura Williamson, Simon King, Libby Paulin and Liz Breslin. Seven books, 14 poems each: that’s 98 poems, dontcha know. 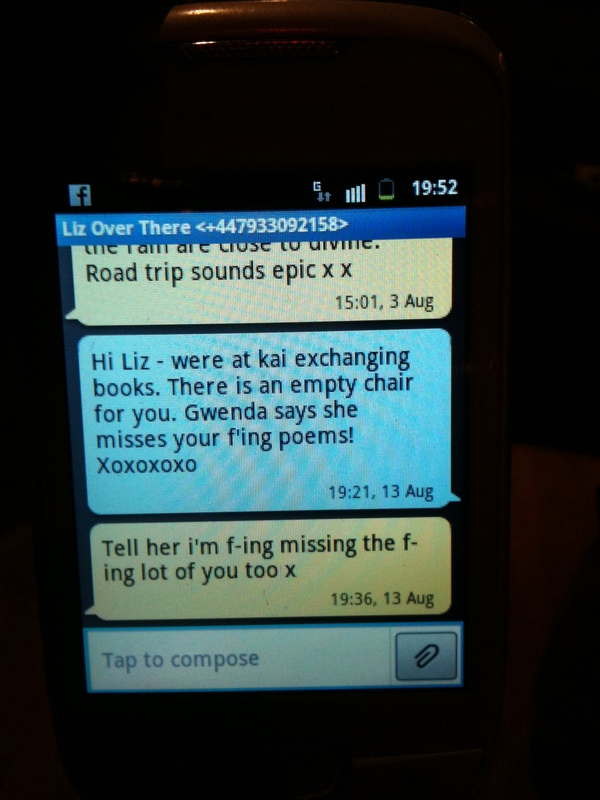 Liz couldn’t make it, but she was in us in text! 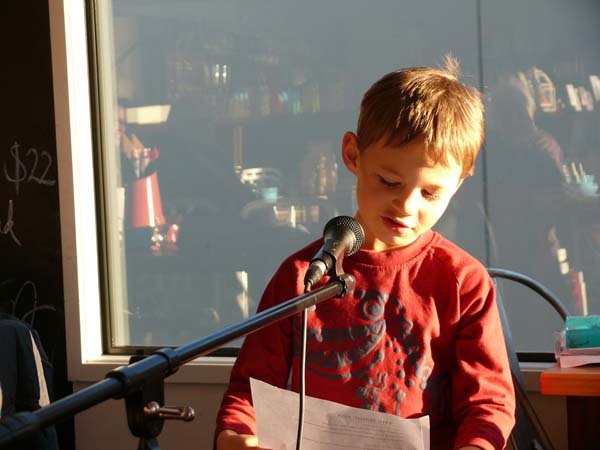 Thanks to all who joined us on a sunny Sunday at Federal Diner for this month’s open mic. 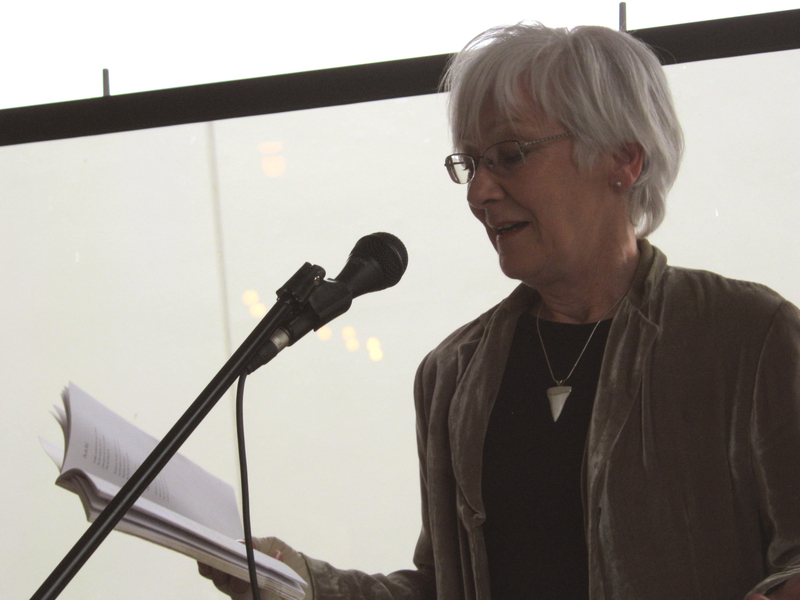 A stellar lineup or readings – poetry, prose, English, Spanish, French, you name it, we heard it. Congrats to wee Liam who won a nice set of mugs from Wanaka Beerworks for his mum. 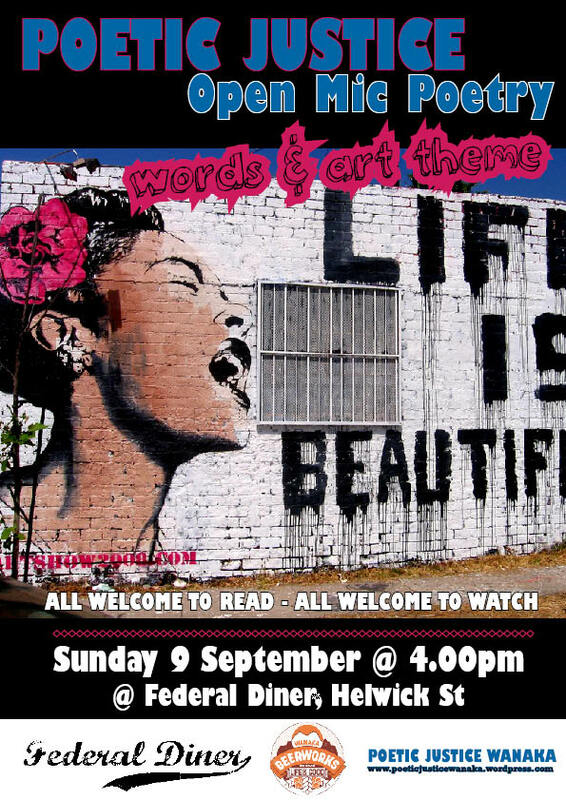 Next up, Open Mic session on Sunday September 9 – see you there! Girls in glasses – Maegan represents!